Cantey Foundation Specialists is a foundation repair company in Camden, South Carolina, providing residential foundation repair services for bowing foundation walls, foundation settlement, tilting chimneys, sticking doors and windows, and tilting or leaning walls. We offer quality products, proven services, and professional experience to permanently repair any foundation problem. We are individuals who come together as one team to provide extraordinary results for our customers, family and community. 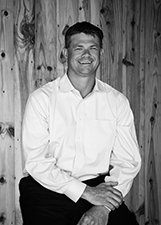 A Camden, SC native William Cantey is the owner of Cantey Foundation Specialists. He graduated from the University of South Carolina with a degree in business in 1999. Following graduation, his passion for the construction industry led to a career in commercial grading, foundation stabilization, and residential building. This experience proves valuable when designing solutions for our customers’ foundation problems. With over ten years of experience specializing in building home science, William says the best part of owning Cantey Foundation Specialists is, “when I receive positive reviews from our customers saying how well our services work and how they cannot believe they lived with their foundation and crawl space issues for that long." We always strive to give our customers what they want and we go above-and-beyond their expectations to provide high-quality, long-lasting results. Supportworks designs their products with corrosion-resistant, galvanized steel. This keeps the visual portion of your installation aesthetically appealing, while the non-visible portions are kept strong. Each system comes with a written, transferable warranty that is measured in decades -- not years. Count on us to provide you with a permanent repair! As a proud member of the Supportworks, Inc. network of independently owned and operated foundation experts across the U.S. and Canada, we have exclusive access to state-of-the-art Supportworks products, including the Geo-Lock™ Wall Anchor System, Supportworks Foundation Piers, and the award-winning SmartJack® Crawl Space Support System. In addition to providing industry-leading products to repair even the toughest foundation problems, our foundation repair specialists are expertly trained to answer all of your questions and help you choose the repairs that are right for your foundation and your budget. We also have experience helping South Carolina homeowners with home energy upgrades that provide energy efficiency, comfort, and lower energy bills. Because we know how tough it can be to find a contractor that you can trust, we offer warrantied solutions and a free, no-obligation estimate for all of our foundation repair services. Contact us today to schedule a free foundation repair estimate throughout South Carolina, including Columbia, Florence, Sumter, Greer, Simpsonville, Spartanburg, Greenville, Mount Pleasant, Chapin, Lexington, and surrounding areas. Shandon Baptist Church: Raised money for the kindergarten and mission trips. Active Carolina: Helped raise money for child fitness and the children's hospital. American Red Cross, Susan G Komen, and the United Way of Kershaw County: In 2011 we arranged the Energy Elves Race, where we gave away $10,000 to these local charities. As soon as you notice a problem with your building’s foundation, it’s important to contact a professional, like Cantey Foundation Specialists, who can help devise a plan for fixing your unique foundation issues. Ignoring these problems, no matter how small the symptoms might be, can lead to more devastating damage and can create an unsafe structure. How does Nexus Pro Work? Columbia, SC Home Stabilized Inside & Out! Springfield, SC Crawl Space Encapsulation Job! Whether you are dealing with bowing foundation walls, settling concrete, jammed doors, or leaks in your foundation walls, we can provide permanent solutions that will fix the problem before it gets worse. Contact us today to schedule an inspection and free foundation repair estimate in Florence, Sumter, Columbia, Simpsonville, Greer, Greenville, Spartanburg, Chapin, Lexington, Mount Pleasant, Easley, Summerville, Hendersonville, Evans, Aiken, North Augusta, North Charleston, and surrounding areas.